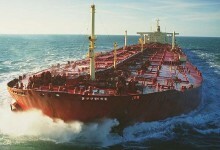 As the international regimes of compensation for oil pollution from ships are founded on a strict liability basis, regardless of fault, there has normally been little scope for dispute as to liability to pay proper claims. By far the most common issue has been whether a particular claim is eligible for compensation, and if so for what amount. Normally this depends on whether the subject matter of the claim constitutes ‘pollution damage’ for which compensation is payable. The term ‘pollution damage’, as defined by CLC 92 and the Bunkers Convention, covers loss or damage caused outside the ship by contamination resulting from the escape or discharge of oil from the ship. It also includes the costs of ‘preventive measures’, together with any further loss or damage which these may cause. Preventive measures are any reasonable measures taken after an incident to prevent or minimize pollution damage. The Conventions say very little about the precise circumstances in which claims fall within these general terms. Various potential issues are left for determination by the courts, but there has been remarkably little litigation on them over the years. The vast majority of claims have been resolved instead by settlements based on criteria developed independently of the courts. The core elements of these criteria are the product of work by different international organisations in the early 1990s, when a combination of developments highlighted the need for clearer guidelines or criteria to promote determination of claims on a consistent and satisfactory basis. The US Oil Pollution Act 1990, passed in reaction to the Exxon Valdez incident the previous year, provided for a wide range of recoverable claims, including indirect economic losses and environmental damage assessed by theoretical methods. Although OPA-90 applied only to incidents in the US, where international compensation regimes do not apply, it prompted concerns that these would be undermined if courts in other countries saw the US approach as a model to follow: this was widely felt to be neither financially nor politically sustainable. At the suggestion of the insurance industry and British Maritime Law Association, the subject was examined by the Comité Maritime International (CMI), the international legal organisation established to promote unification of maritime law. After a three-year project to raise awareness of the issues, examine different national laws, and develop criteria acceptable among countries with different legal traditions, the CMI Guidelines on Oil Pollution Damage were adopted by the CMI at its Conference in Sydney in October 1994. That same year, a Working Group of the IOPC Fund examined the same issues in the light of multiple claims which had arisen in the Haven, Aegean Sea and Braer incidents (in Italy, Spain and the UK between 1991 and 1993). Co-operation took place to co-ordinate the work of the Fund and CMI, and two weeks after the Sydney Conference the Fund adopted criteria to substantially similar effect. These ‘admissibility’ criteria facilitated consistency in the treatment of claims whilst retaining sufficient flexibility to adapt to new issues. Over the years they have been refined in the light of experience, and a body of precedent has developed through decisions of the governing bodies of the IOPC Funds. The main principles are set out in the Funds’ Claims Manual together with guidance on presentation of claims. Claimants who are not satisfied with settlements offered to them are free to take their claims to court. The Funds’ criteria are not binding on courts of law, but they may be considered to establish a practice of States which some courts may be minded to take into account. Only a small minority of claims have been litigated, mostly for economic loss, and of these the great majority have been determined with similar results to those produced by applying the Funds’ criteria.